Collins Booksellers - Better than Human by Allen Buchanan, 9780199912018. Buy this book online. Is it right to use biomedical technologies to make us better than well or even perhaps better than human? Should we view our biology as fixed or should we try to improve on it? College students are already taking cognitive enhancement drugs. The U.S. army is already working to develop drugs and technologies to produce "super soldiers." Scientists already know how to use genetic engineering techniques to enhance the strength and memories of mice and the application of such technologies to humans is on the horizon. 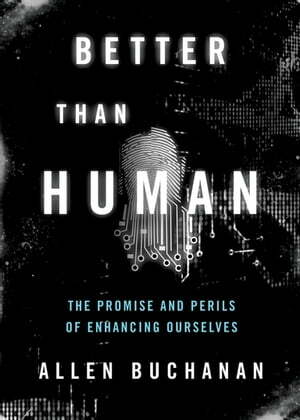 In Better Than Human, philosopher-bioethicist Allen Buchanan grapples with the ethical dilemmas of the biomedical enhancement revolution. Biomedical enhancements can make us smarter, have better memories, be stronger, quicker, have more stamina, live much longer, avoid the frailties of aging, and enjoy richer emotional lives. In spite of the benefits that biomedical enhancements may bring, many people instinctively reject them. Some worry that we will lose something important-our appreciation for what we have or what makes human beings distinctively valuable. Others assume that biomedical enhancements will only be available to the rich, with the result that social inequalities will worsen. Buchanan shows that the debate over enhancement has been distorted by false assumptions and misleading rhetoric. To think clearly about enhancement, we have to acknowledge that human nature is a mixed bag and that our species has many "design flaws." We should be open be open to the possibility of becoming better than human, while never underestimating the risks that our attempts to improve may back-fire.